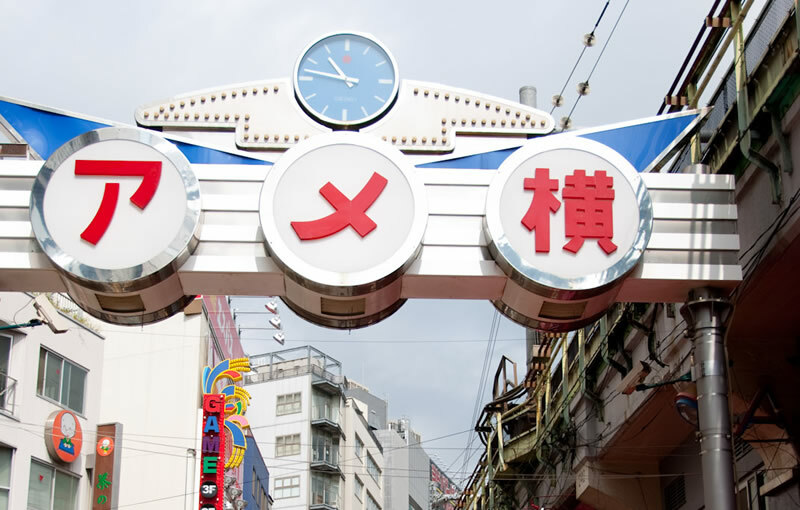 Ueno, home of the nationally-famous Ueno Zoo, bronze statue of Takamori Saigo and the powerful voices of the shopkeepers calling across Ameya Yokocho, is an excellent place to shop. With shopping and dining, as well as parks and museums near Ueno Park, it is a place that will keep you busy all day. 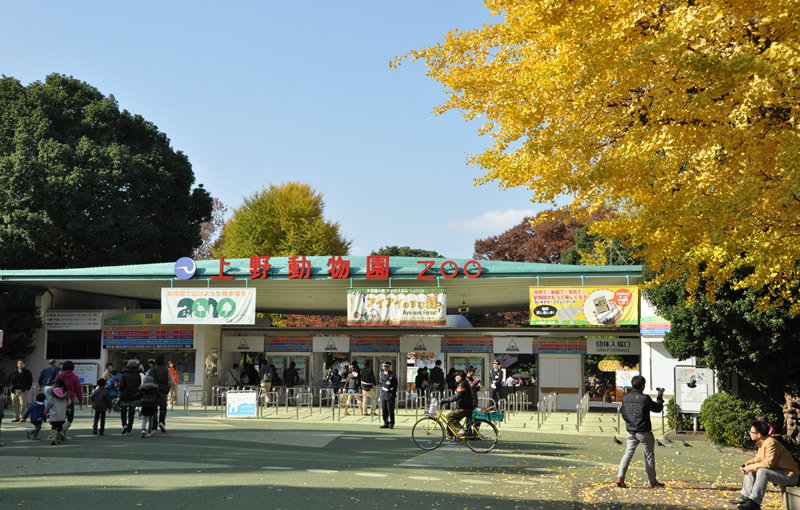 Ueno is a cultural center, with the National Museum of Western Art, Tokyo National Museum and Ueno Zoo. One can spend a full day admiring art and pursuing knowledge. 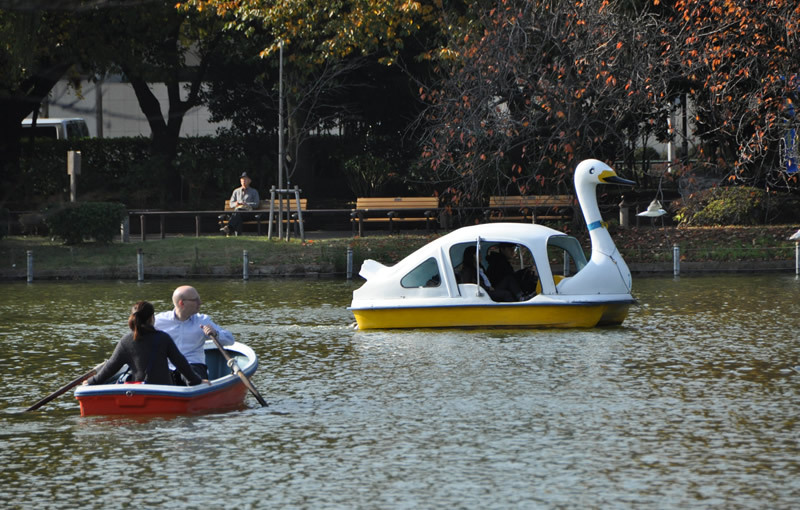 It also has Shinobazu Pond, one of the city's finest natural pond. It is made of three ponds, the lotus-covered Lotus Pond, Boat Pond, where you can have fun with boats, and Cormorant Pond, where cormorants are bred. Ameya Yokocho grew and thrived as a black market in an area devastated by the Second World War, and often appeared on TV as a lively shopping district during the year end, with some of the country's leading stores selling fresh fish and dried foods, clothing, jewelry all crowded together. Recently, sporting goods stores aimed at young people are on the rise. Yanaka Cemetery, often called by its old name, Yanaka Graveyard, lies north of Ueno Park, is the resting place of Yoshinobu Tokugawa (the last shogun), the painter Taikan Yokoyama, Eiichi Shibusawa (called the father of modern Japanese capitalism) and Saint Nicolas of Japan, and also holds the ruins of the pagoda used as a model for Rohan Koda's novel of the same name, halfway along the cemetery's tree-shaded main path. 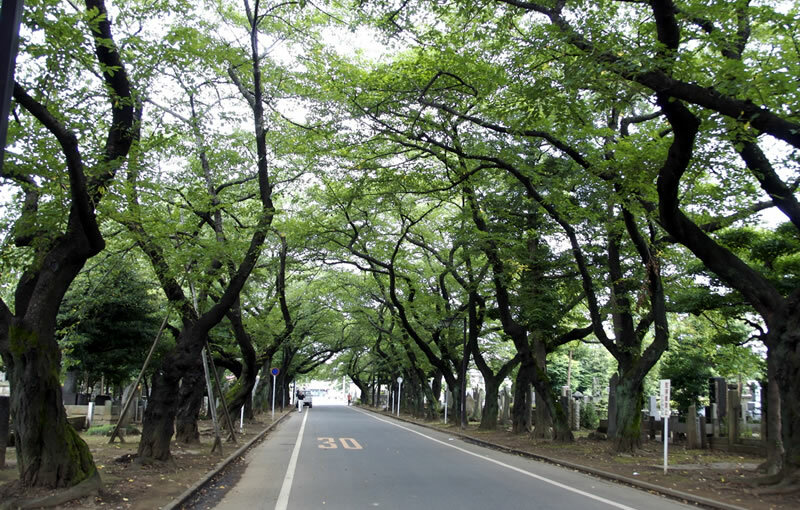 The cemetery is also famous for its cherry blossoms, and the main path is nicknamed "Cherry Lane" as it becomes a tunnel of blossoms in spring.